True. The better argument is the fact that the system is flawed where an undefeated team has absolutely no path to a championship and another can finish 2nd in a division, avoid an elimination game (SEC championship) and then waltz into the playoffs. I think at minimum there should be a "play in" game for a UCF type team just like there is in basketball for the teams on the margin. That’s the power the eye test has in college football. The nature of the game, limits the amount of games to the schedule. So to add a week like that, you would have to subtract from the regular season which would take games and revenue away from all the teams that can’t play in that game. Which is why I prefer the NFL in general. Win and you are in. No eye test. If the NFL had an eye test, Dallas (for example) would be the top seed most years as pundits and fans always perceive them to be better than they really are. The system is so flawed that I am certain if UCF and USF played all out of conference road games at quality P5 programs and rolled them, then met undefeated and played an epic game, then won the AAC, that the winner would not sniff the playoffs. I think its more likely to not get P5 games scheduled. If this played out, they would have to some extreme backtracking or just flat out separate. Which i still think is a strong possibility. I think it is in the works. This is why the future schedules of USF and UCF are impressive. Both have gotten better games and I applaud the fact that the Elon game is the last vs the FCS in the near future. The eye test is not new and one behemoth that suffered due to it was Penn St. I remember them being constantly left short in the polls due to the perception that eastern football was subpar. To his credit, Paterno continued to be his annoying self by advocating for his team and working hard to schedule nationally known teams. It obviously paid off. I fully realize none of us have the following of that program, just pointing out why I have always hated it. It being the "eye test"
Keep trying with your straw man arguments. Nowhere did I say "they didn't really want it". What I'm saying is that if you think Auburn went into that game with the same mental edge they would have in a playoff or did in either game they played against the two playoff teams, you're kidding yourself just like UCF guy ... UCF had a great year, but that's all it was was a great year. Hopefully we'll have one like that at some point ... maybe ECU will ....it's the national championship nonsensical justification that has them showing the exact opposite type class than the Auburn players and coaches did after the loss. So because they went into that game with a lesser "mental edge", that discounts the achievement? Can you quantify just how much of that mental edge was lowered? No? So what we have is a statement (opinion), that you believe the win has been somehow tarnished because of some un-quantifiable diminished mental edge and therefore we should all believe that Auburn's win is less impressive. Got it. UCF had a great year, but it symbolized something greater than the team itself - that no matter what you do, the College Playoff Invitational is out of reach. While I fully recognize rooting for a G5 team, especially UCF is unthinkable for you -- you should be happy as hell that it's them that has raised the flag of National Champions and are rocking the establishment. If usf ever gets in a similar position, at least UCF has laid the groundwork for more respect to be given. UCF won the Fiesta Bowl in 2014, guess how much press they got after that? Barely anything. 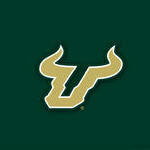 Something has to change, otherwise what is usf or anyone outside the p5 playing for? Surely you can at least agree to that. Yeah the eye test is certainly not perfect but it is used to offset the "any given Saturday" effect and place the four best teams. But like you said UCF isn't the first team to face its wrath. I think of Wisconsin last season only having one loss in the championship game but got left out in favor of Bama, who didn't even play that week. To me they got shafted much more than UCF. But unfortunately without subtracting form the regular season there just inst a completely flawless metric because complained about the computer ranking just as much. There just way to much money involved to subtract form the regular season. All I need is my eyes to know which was the better team and an understanding that the score doesnt always project that. Auburn beat Alabama, so are you saying the UCF was the best team in the nation last season? If so, don't bother responding because I do't think you quite understand this game﻿. Your logic is completely flawed with this. You make the assumption that it's a guarantee that Alabama would beat UCF. On paper, Houston shouldn't have beat usf and yet they did. We watch the sport because, honestly - anything can happen. All the experts picked Auburn to win the game, because on paper - they have far more highly regarded athletes. If you want to sit here and state that because you THINK one team is superior, and therefore that is reality - I'd love to know how much money you bet and win every year. Since you seem to know the outcomes of games that haven't yet been played. I don't have the time to explain this to you anymore. What I read is, I don't have a rebuttal. Which is fine.